To U.S. Domestic retailers: Bamboo toothbrushes could be a the perfect addition to your retail store, webstore, hotel, spa, yoga studio, or giftshop. 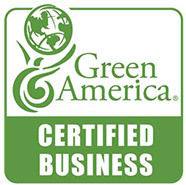 We also love to work with dentists looking to give their patients a green alternative to the plastic toothbrush. We offer a selection of in-store displays for the toothbrushes as well as signage explaining the product. To international distributors: Plastic pollution is a global problem. To order in large shipments for your country, please contact us. We are eager to work with passionate people. Please email us for all wholesale inquiries at info@brushwithbamboo.com. In your email please include: 1) Your business name, 2) Your business website or physical location. We’ll send you pricing information. 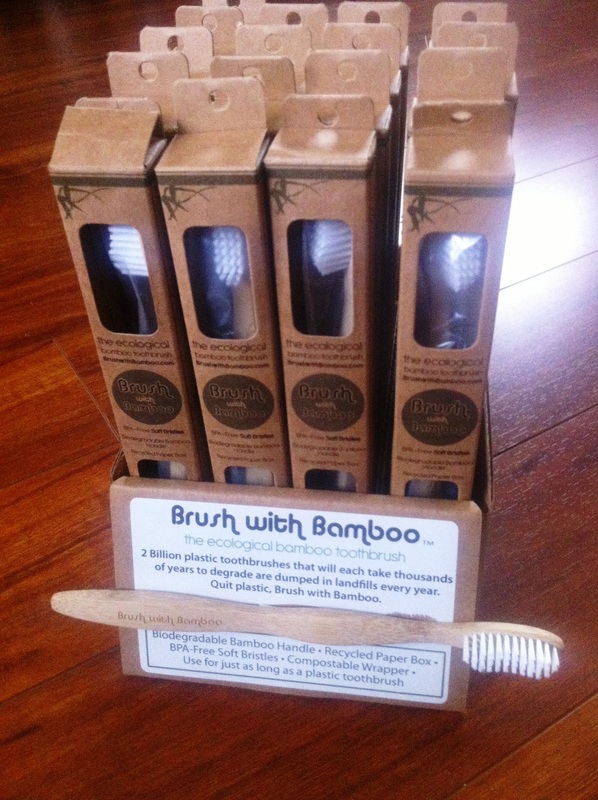 Our 24-piece toothbrush display with a sample bamboo toothbrush fixed to the front for customers to view and feel.